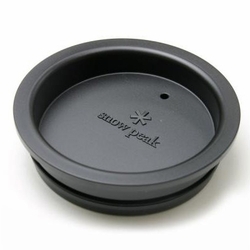 Perfect for the Snow Peak Double Wall Cup, this lid insulates your drink making it perfect for sipping. This formed plastic lid has a silicon ring that holds snugly to the inside wall to retain heat while providing a slit for drinking. This device both prevents leakage and maintains the heat of your drink.